Spoiler: it was a success. In its bid to be the first private company to commercialize space tourism, Blue Origin has successfully tested their New Shepard rocket and crew capsule for the fourth time. This is the first time suborbital rockets have been used over and over. Amazon founder Jeff Bezos created Blue Origins in a mission to send tourists into space. They have been doing a series of tests on launching and landing the reusable rocket in order to perfect the process in preparation for the commercialization of space travel before bringing humans into space. This test, however, is different from the first three. First, this was their first live webcast of the launch and landing. Second, this is a test scenario where one of the three parachutes fails to deploy during the New Shepard capsule’s descent. 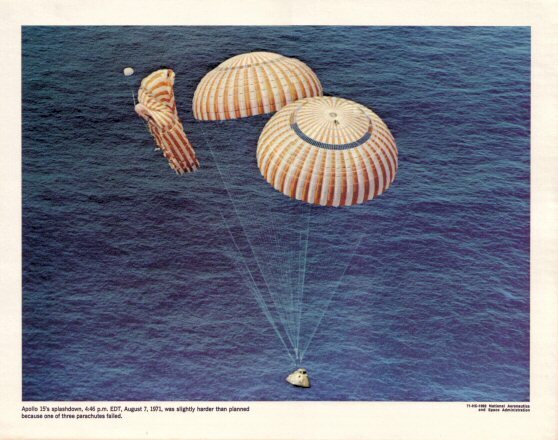 While an unlikely scenario, the company wants to see how competent the capsule is in case of such a failure, reminiscent of the Apollo 15 incident, where one parachute malfunctioned. The New Shepard employs a ring fin on top and fins around its body to help keep the rocket steady as it lands. It hovers over the launch pad, slowing to about five miles per hour, and fires retrorockets at its bottom to slow it down further to two to three mph when it’s a few seconds from touchdown, ensuring a “soft, pillowy” landing for its passengers. This test rocket had no windows at all, but Blue Origin assures potential customers that their future experience would feature the largest possible windows, up to 1/3 of the capsule’s surface area, to provide majestic views of outer space and give them their money’s worth. Blue Origin is planning to stretch this rocket beyond its fourth launch. And if tests continue to be successful, they hope to bring their first tourists out into space as early as 2018.